Dhaka, 9 September, Abnews: Prime Minister Sheikh Hasina and her Indian counterpart Narendra Modi will inaugurate the construct work of two railway projects through video conferencing tomorrow. 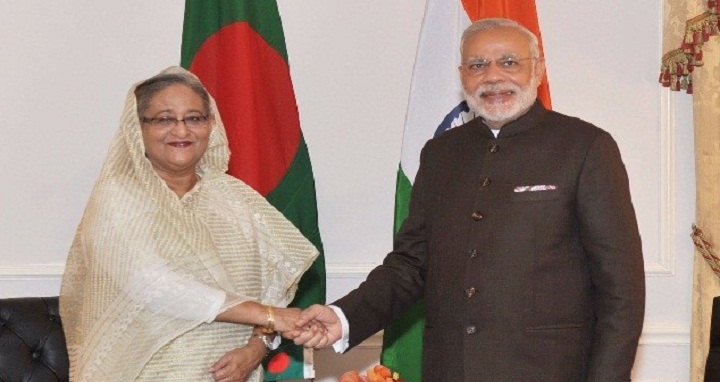 The two projects, Kulaura-Shahbajpur Section Rehabilitation of Bangladesh Railway and Akhaura-Agartala Duel Gauge Rail Connectivity (Bangladesh part), will be jointly funded by Bangladesh and India, said an official release here today. The Kulaura-Shahbajpur Section Rehabilitation project would restore the train link between Bangladesh and India as a part of Trans Asian Railway Network. Under the project, about 53 kilometers duel gaze rail lines, bridges and culverts, stations and infrastructures would be constructed and non-interlocked colour light signaling system will be set up. The estimated cost of the project is Taka 678 crore 50.79 lakh. Of the total cost, Taka 555 crore 98.76 lakh is LOC loan of Indian government while the Bangladesh government will give the remaining amount, the release added. Under the second project, around 10 kilometers duel gauge rail lines, culverts, passenger platforms, platform shades, customs and immigration buildings and rest houses will be constructed with an estimated cost of Taka 240 crore 90.63 lakh.